Reception Cookery Club - Week 4 - Pasta Salad! Reception Cookery Club - Week 2 - Chocolate crispies! Reception Cookery Club - Week 1 - Fruit Salad! This week the children learnt how to cut fruit safely using a knife. We made a delicious fruit salad with mango, pineapple, grapes, bananas and apples! The children thoroughly enjoyed eating their fruit salad! 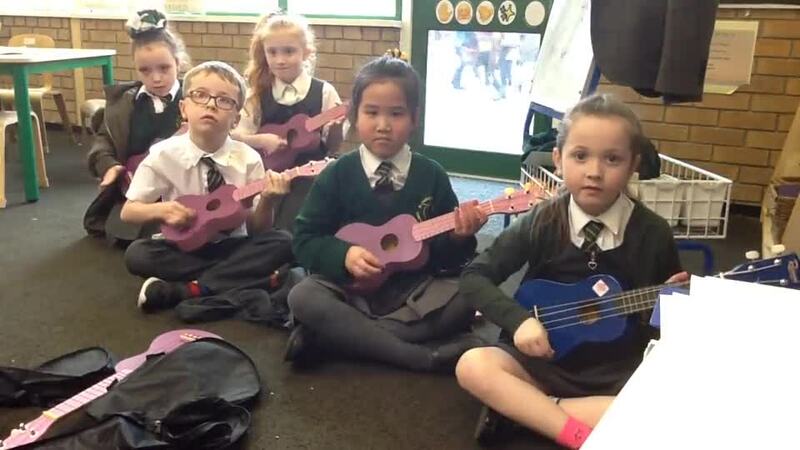 In Year two we have the chance to learn the basic steps of how to play the ukulele. If you look below the lessons are all on our website for our continued practice at home. A successful lesson in ukulele club!